We bake fresh daily a large variety of croissants, including buttery plain, savory spinach & brocolli, ham & cheese, and fruit filled. Our most popular filled croissant, filled with a delicious, smooth almond paste. 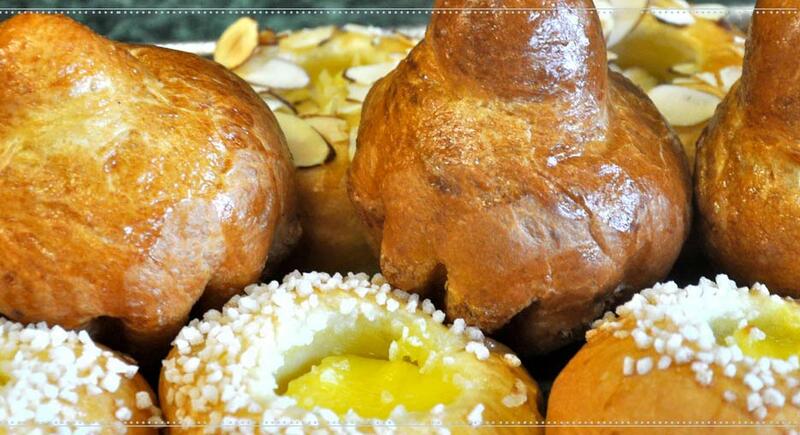 Paris Bakery offers both the plain traditional brioche, and the custard-filled brioche.